T-Shirts, Bags, Cups, Sweats, + more to support Mather's future! 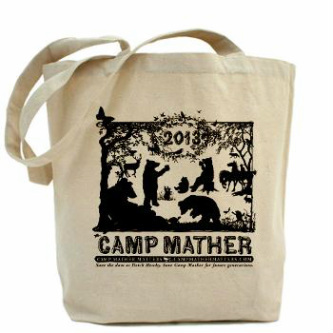 It's 2013 and Camp Mather Matters! Spread the word with shirts, bags, cups, aprons, coasters, more - here!! it's here - support the cause! Keep a piece of Birch Lake with you all year long - on shirts, cups, bags, more! This design is a reminder of the joy and the mather- look for it here. For the full view, for more lake, less design - look here!